It’s the only U.S. state in the tropics, the most remote island chain in the world and actually made up of more than 100 islands. You can go SCUBA diving well below sea level and go to the top of what is technically the world’s tallest mountain (though most of it is underwater). There are great beaches and great golf courses everywhere, and the weather is just about perfect year-round. 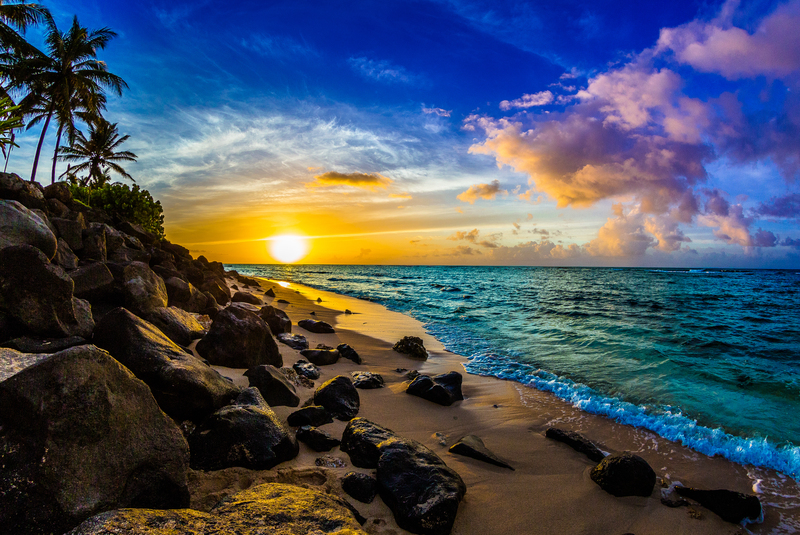 No matter how you slice it, Hawaii is pretty awesome. But which island is best for you? Off the eight main islands, Kaho‘olawe is uninhabited, Ni‘ihau is off limits non-Native Hawaiians and Moloka‘i has limited options for accommodations. That leaves five islands that vacationers commonly seek out, each with something unique in store. By far the largest of the islands, Hawai‘i is made up of five volcanoes and could fit the rest of the islands inside it with room to spare. With Kilauea volcano erupting continuously since 1983 and occasional snow atop Mauna Kea, it is truly a land of fire and ice. 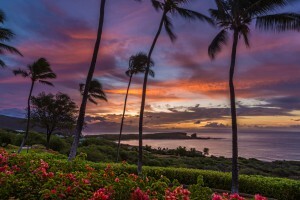 Most of the resorts (including Virtuoso-preferred Four Season Hualalai, Fairmont Orchid, Mauna Kea Beach Hotel and Mauna Lani Bay) are along the Kohala Coast on the western, leeward side of the island, which gets only a few inches of rain year. 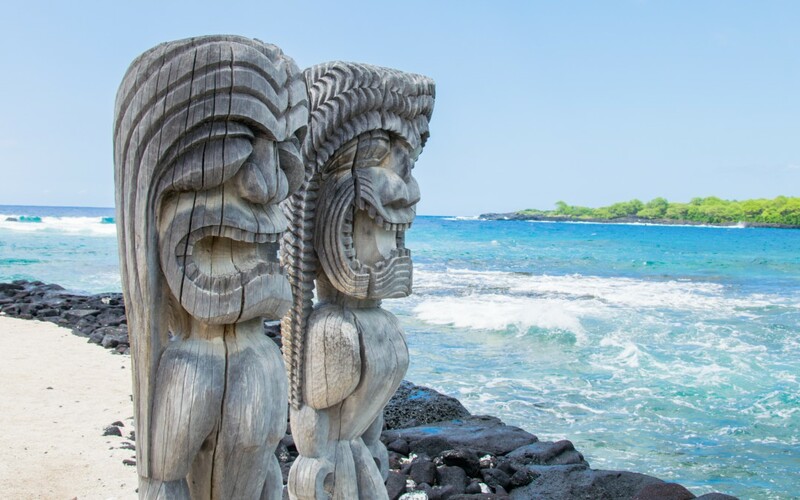 The eastern half of the island features rain forest, waterfalls, black sand beaches and Kilauea, where you can hike to flowing lava or through an old lava tube. On the bottom is South Point, the southernmost point in the U.S., and not far away is Papakolea, one of four green sand beaches in the world. In the north is a string of valleys bookended by the gorgeous Pololu and Waipi‘o valleys. 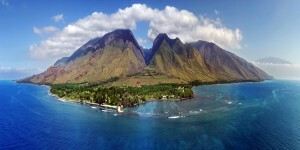 On the west side, you can dive with manta rays and snorkel in the amazingly clear Kealakekua Bay. In the middle is the crowning jewel, Mauna Kea. With a summit 13,796 feet above sea level, it is above 40 percent of the earth’s atmosphere, making stargazing a must. Add another 20,000 feet of Mauna Kea below sea level, and it beats Everest by a few thousand feet. There is a saying in Hawaiian, Maui no ka‘oi, “Maui is the best.” With the amount of activities packed into the island, it’s hard to argue. 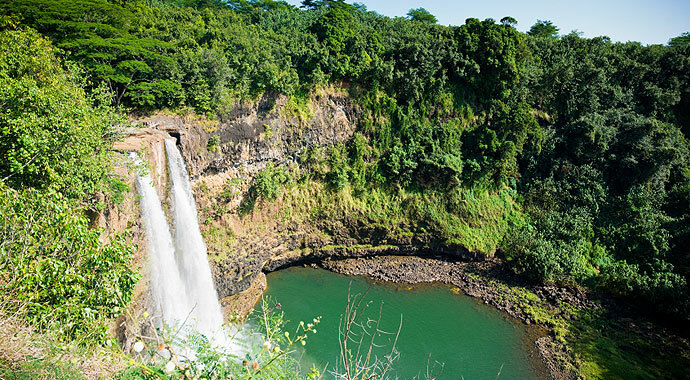 You can take the Road to Hana, one of the most scenic drives in the world, and go a little bit farther than Hana to the Seven Sacred Pools at Ohe‘o Gulch. You can watch the sunrise at 10,000 feet atop Haleakala and bike down (for maximum enjoyment, go early in your trip before your body adjusts to the time difference). Explore the paniolo (“cowboy”) town of Makawao or take a tour of Kula Lavender Farm. For more action, Maui has some spectacular hikes in ‘Iao Valley, which separates the western and eastern parts of the island, and in the rainforest along the Hana Highway. Kihei and Lahaina are great spots for novice surfers, and Trilogy has great snorkeling tours. Discover Molokini, visiting Molokini Crater just offshore, and the full-day Discover Lanai are favorites. Once you’ve worked up an appetite, it’s time for a luau. 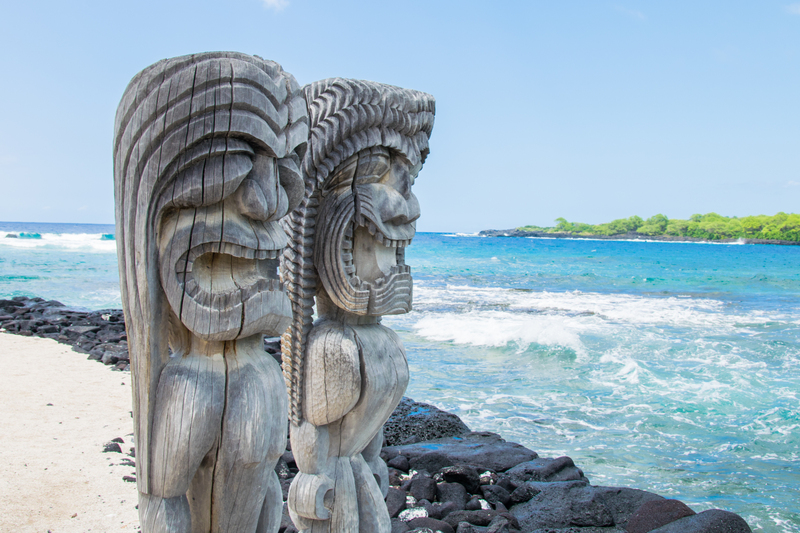 Old Lahaina Luau, great for families, and Feast at Lele are two of the best in the islands. The main resort area are Kapalua in the west (home to Virtuoso-preferred Montage Kapalua Bay and the Ritz-Carlton, Kapalua) and Wailea in the south (where you’ll find Virtuoso-preferred Andaz Maui, the Fairmont Kea Lani and Four Seasons Resort Maui). Part of Maui Nui (“Greater Maui”) before a sea level rise a couple hundred thousand years ago and after that a pineapple plantation, Lana‘i is now 97 percent privately owned by Oracle CEO Larry Ellison. As evidenced by the Trilogy tour from Maui, the snorkeling around Lana ‘i is world-class. With a population of just a few thousand, Lana‘i is a place to relax and enjoy the great outdoors. The Virtuoso-preferred Four Seasons Resort Lana‘i and Lodge at Koele (once it reopens after renovation) are outstanding places to do just that. Activities include horseback riding, a 4x4 Jeep outing, clay shooting and cave diving. Home to about two thirds of the state’s population and the city of Honolulu, O‘ahu is not the place to go if you’re looking to get away from it all. If you’re looking for high-end shopping and dining, look no farther than Waikiki. You can’t go without visiting Pearl Harbor, but be sure to get tickets well in advance to avoid having to line up at 6 a.m. for them. The snorkeling at Hanauma Bay is excellent, but get there early before the parking lot fills up, or take a tour with pickup at your Waikiki hotel (Halekulani, The Royal Hawaiian and the MODERN Honolulu are Virtuoso-preferred). Learn to surf or just people-watch at Waikiki Beach. To see the pros on the big waves, head up to the North Shore, a 7-mile stretch that includes the world-famous Banzai Pipeline and Sunset Beach (the name says it all). That isn’t to say you can’t find some peace and quiet. Virtuoso-preferred Four Seasons Resort at Ko Olina and The Kahala offer respite off the beaten track. The Byodo-In Temple is a replica of a thousand-year-old Buddhist temple in Japan and a good place to calm the mind. Just outside the urban center, there are great hikes at Diamond Head and the Makapuu Lighthouse trails. What O‘ahu may lack in tranquility, Kaua‘i more than makes up for. 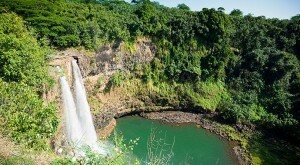 The rainiest of the main islands, Kaua‘i is quite rural and its main attractions are natural phenomena. The middle of the island is covered by Waimea Canyon, the “Grand Canyon of the Pacific,” going to depths of about 3,000 feet. In the northwest, the Na Pali Coast juts out of the ocean, its cliffs resembling the ridged cone of a citrus juicer. These features make Kaua‘i the best island for a helicopter tour that allows you to take in the full scope of its beauty. While the rain can put a damper on some days, without it you wouldn’t be able to go tubing through the irrigation system of a former sugar plantation or kayak down the Wailua River. Not far from Na Pali is the Virtuoso-preferred and stunning St. Regis Princeville. If you prefer to set up shop on the sunnier south shore, the Virtuoso-preferred Grand Hyatt Kauai has lush grounds and a great stretch of beach and proximity to Poipu Beach Park, considered one of America’s best beaches.